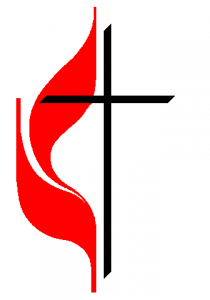 What is an Acolyte in the Newtown United Methodist Church? A young person who serves the Lord by bringing the light of Jesus Christ into the Church Sanctuary and lighting the altar candles during worship. Jesus brought light into the world – not by carrying a torch, but by the messages in his lessons. He made people “see” the way we should live our lives. Today we use candles in Church as a symbol of Jesus being with us and teaching us so that we may “see” His way to live. If you are interested in having a child, who is 8 years old or older, become an Acolyte or need further information, please contact the Newtown United Methodist Church Office by phone (203-426-9998) or e-mail us today.